Software developer and supplier Playtech has implemented its Gaming Standards Association new Third Party Interface standard as part of its Playtech Open Platform content aggregation. The gaming company is now the first business within the industry to integrate the standard after having worked closely with the GSA’s Online Gaming Committee to work on the brand new initiative. According to the company, operators that make use of its POP service will be given access to a large range of benefits through the standard, which they can use to improve their business. Some of these benefits include better efficiencies, as the standard removes the need for content providers to implement multiple proprietary services. They have also stated that the standard will simplify the third party provider’s integration process, which will allow operating partners to work directly with content suppliers. IGT, Microgaming, and Scientific Games are some of the names that are currently making use of Playtech’s POP platform. Chief operating officer of Playtech, Shimon Akad, has said in a statement that the company joined the GSA because of a shared vision to start creating standards that push efficiencies throughout the industry He added that the establishment of the TPI is an example of this, and that it highlight’s Playtech’s role in the industry as the technology provider of choice. 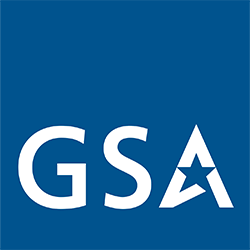 GSA President Peter DeReadt added to the statement, saying that thanks to Playtech’s leadership and vision, the GSA is able to start delivering technical standards that solve real problems.